Archie Pounds, 3rd from left. If anyone can name anyone else in this photo, please leave a comment in the comment block below. Lt click to enlarge. 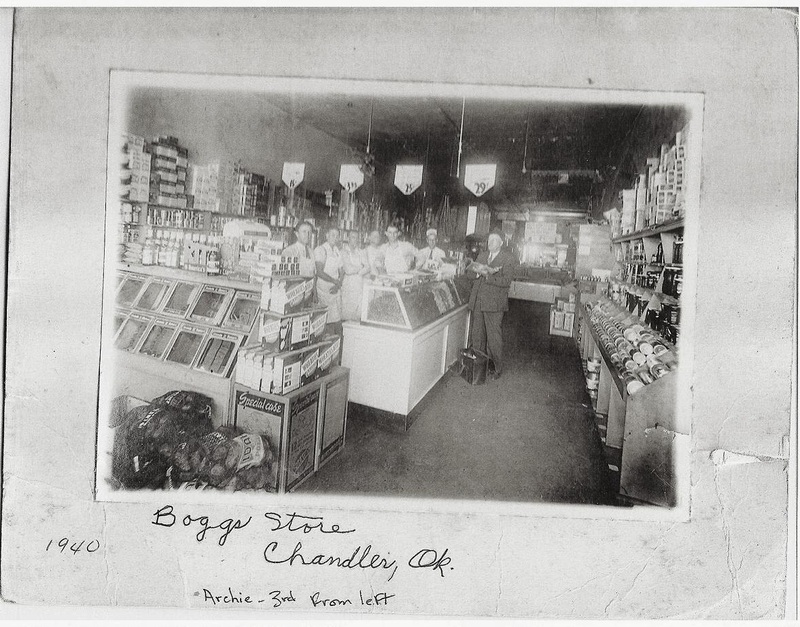 My Grandfather Ralph King, in the back with the hat, was the Butcher for Boggs Grocery Store. JSteve, I know the Boggs family--John and Ruby and their daughter Betty Dean, but I don't recognize your mother's name. Was she related to the Boggses?